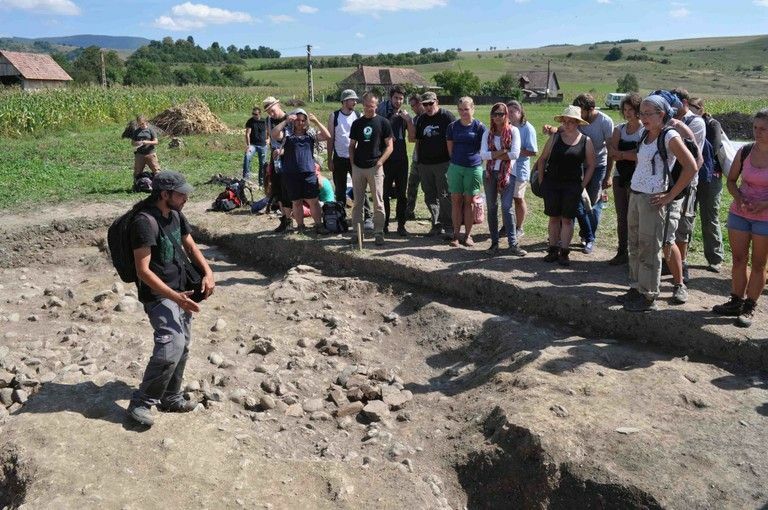 From the 21st of July until the 18th of August 17 lecturers and 50 students from Germany, Hungary and Romania have participated at an archaeological field school at the eastern border of Roman Dacia and its vicinity bearing the title: The Roman Limes as European Cultural Landscape – Erasmus IP(RLCL). 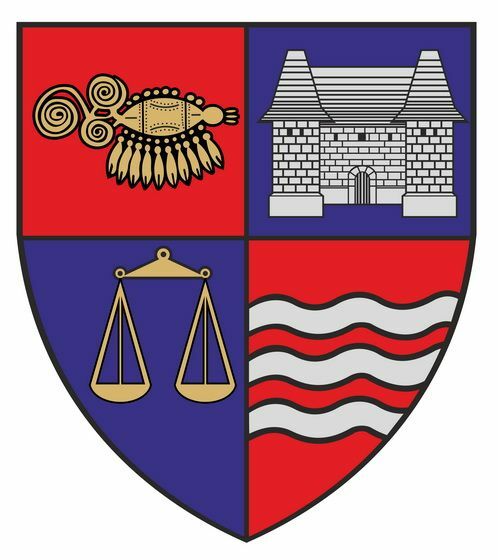 The project focuses on practice and theory related teaching on the test area of a Roman borderline sector from the province of Dacia. 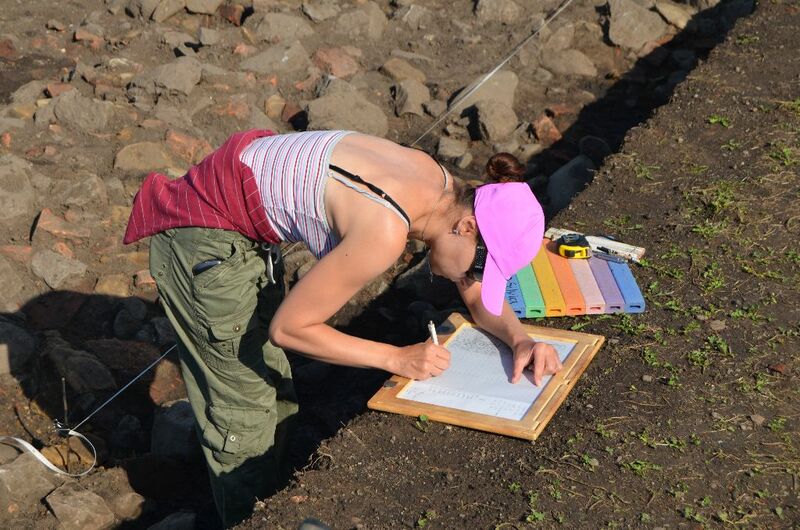 During our work we focused on the localization of watchtowers and definition of the inner structures of the auxiliary forts and settlements belonging to the limes section between the forts of Brâncoveneşti and Sărăţeni (Mureş County, Romania). 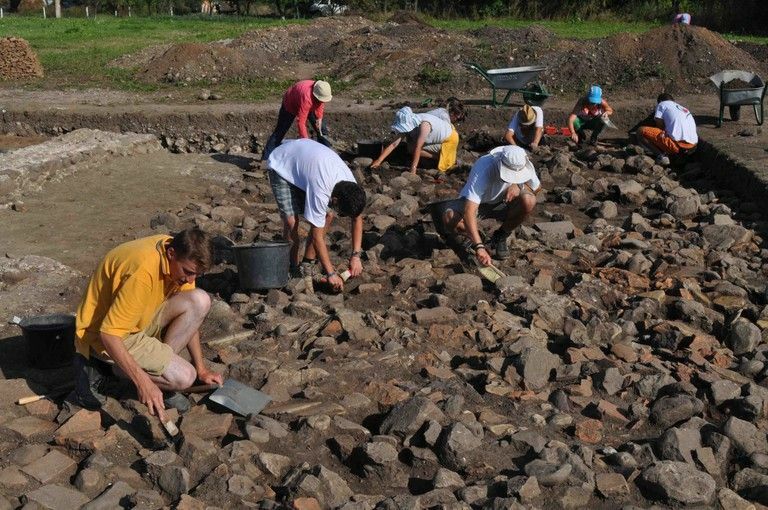 In the fort of Călugăreni, part of the principia was excavated and in the civilian settlement (vicus) a house located next to a road and part of the bathhouse were unearthed. 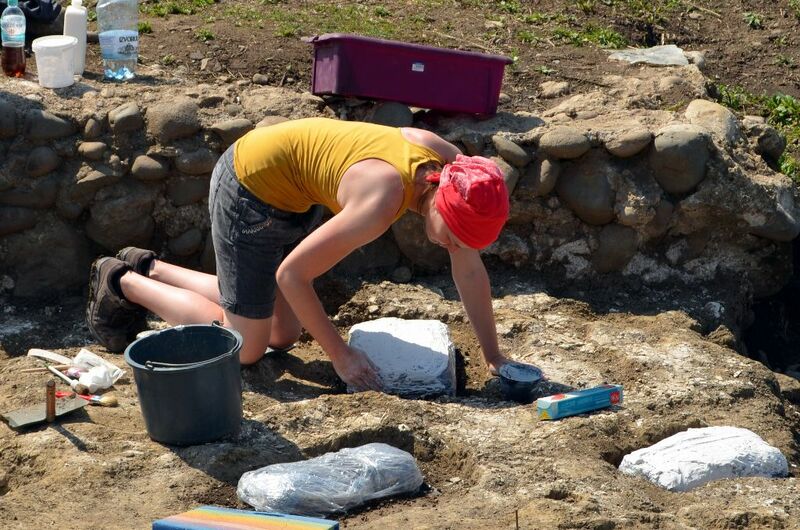 The excavations were supplemented by an intensive find processing, including restoration and conservation. At the same time, watchtowers have been documented by the means of topographic, geophysical and archaeological surveys. On the weekends the team had excursions to Târgu Mureş, Cluj-Napoca and Sighişoara to have a better understanding of the land and people of the region. In order to promote culture and tourism in the region, the project co-organized a Roman festival in Călugăreni, in which the students actively participated as volunteers, presenting Roman culture and technique to the public – eating habits, cooking and baking traditions, etc. The results of the project were also presented to the public with this occasion. Participating institutes: Humboldt-Universität Berlin; Universität zu Köln; Universitatea Babeş-Bolyai (Cluj-Napoca); Budapesti Műszaki és Gazdaságtudományi Egyetem; Eötvös Loránd Tudományegyetem (Budapest); Fachhochschule Erfurt; Pécsi Tudományegyetem and Universitatea Petru Maior (Târgu Mureş). 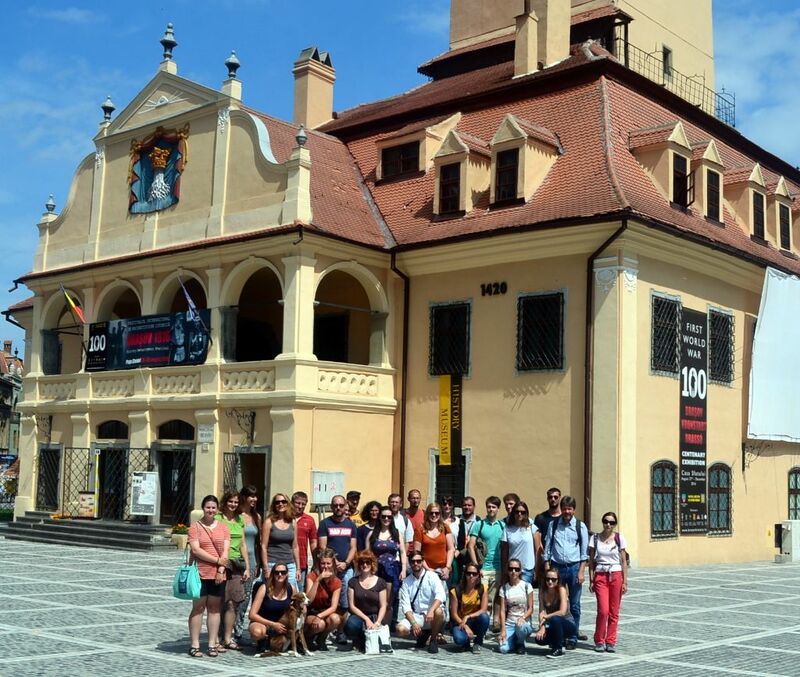 The summer campaign on the Eastern Limes took place between the 17th of August and the 15th of September 2014 with the participation of 52 students and 18 lecturers and specialists, specialists from eight German, Romanian and Hungarian universities and the Mureș County Museum. 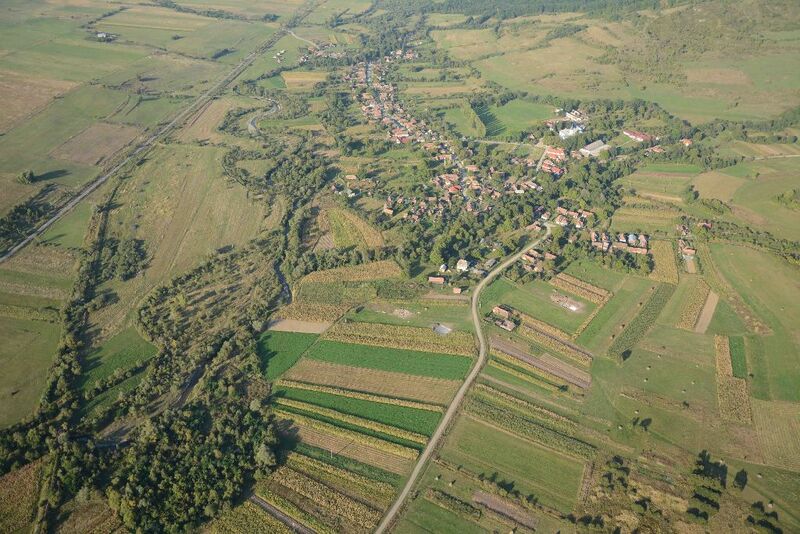 Our work was focusing mainly on three forts: Călugăreni, Sărăţeni and Brâncoveneşti and some watchtowers and other elements of the limes sector from Mureş County. The complex interdisciplinary and international research contributed in a considerable way to the better understanding of our limes sector. On the major military sites the intensive field walking combined with metal detecting survey was continued in order to determine the extent of the vici and to collect artefacts for dating the sites and specifying their internal structure. The watchtowers situated in front of the forts were further investigated: two new watchtowers were identified by field-walking and aerial survey, one in the Becheci-Mountain in Mărculeni and another north of Vătava in the Călimani-Mountains. As far as the topographic survey concerns almost 1000 points were measured at this sites, which allowed us to develop their digital terrain models. Geophysical survey have been undertaken on the military sites and at several watchtowers. In Călugăreni magnetic and geo-electrical resistivity survey have been made to identify the plan of the bath and to explore the area between the bath and military fort. 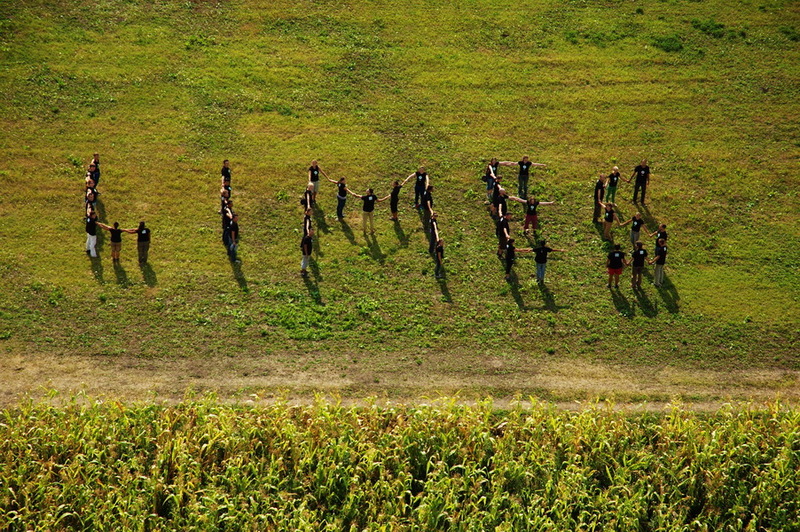 Geomagnetic survey was also done in the vicus from Brâncoveneşti, in the fort of Sărăţeni and at the watchtower in Vătava. 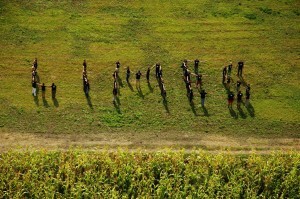 With geo-electrical resistivity survey parts of the fort of Sărăţeni has been located. 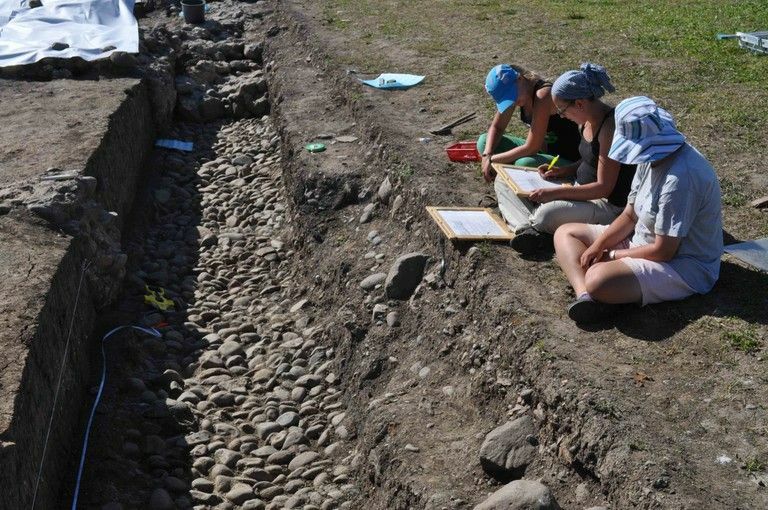 During the excavation from Călugăreni, started in the last year, three different areas were investigated: the principia (Area A) in the military fort; the bath (Area B) and a portion of the road’s turnout (Area C) in the vicus. In the principia a trench, measuring 15 x 7 m, was opened, where portion of the building with aedes, two neighboring rooms and the basilica in the front were spotted. By continuing the trench from last year other phases have been identified. It could be observed that the remains of the horizontally laid charred wood material in the lower layers had been preserved quite well. This could have been belonged whether to an older timber construction phase – threshold beam – before the stone phase, or it might be linked to the wall construction technique of the stone principia. Several small finds have been recovered, like armor scales or a bronze statue of Mercurius. The distribution of glass fragments points to the existence of window panes in the principia. In the bath area (Area B) the trench from last year was extended to 10 x 10 m. There were unearthed wall fragments (also traces of robbing trenches), damaged plaster fragments, floor fragments of waterproof mortar and remains of the hypocaustum system. In Area C a building complex was investigated in the central area between the fort, bath and civilian settlement where the geomagnetic measurements indicated a turnout of the main road and a secondary road in the vicus. In two trenches (12 x 12 m) cobble- and stone structures appeared, which could have been parts of a solid walking level (courtyard). A building could be identified in this area. The rests of a clay floor indicate another older construction. In order to investigate the extent and structure of the buildings the trenches needed to be extended. In Călugăreni and Sărăţeni the architects documented vernacular monument buildings and traditional timber structures. 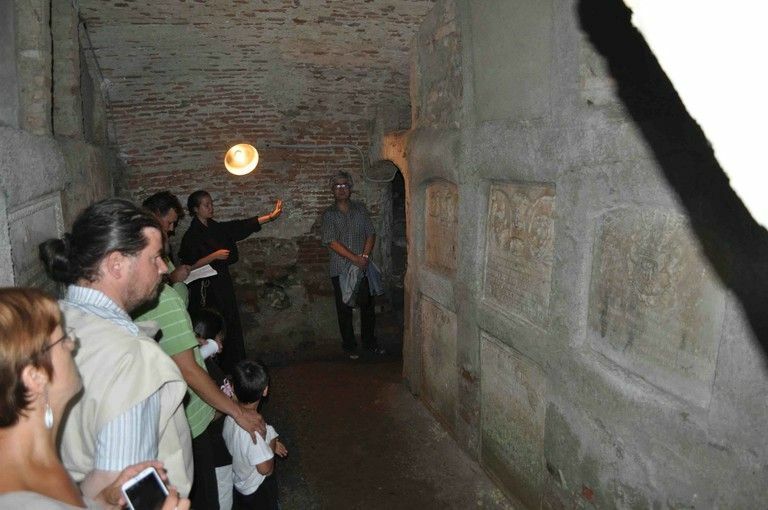 There were elaborated projects concerning the touristic potential and possible new functions of the buildings as well as projects for presenting the archaeological sites. Just like last year, these results will be presented on a Student Conference at the Budapest University for Technology and Economics. 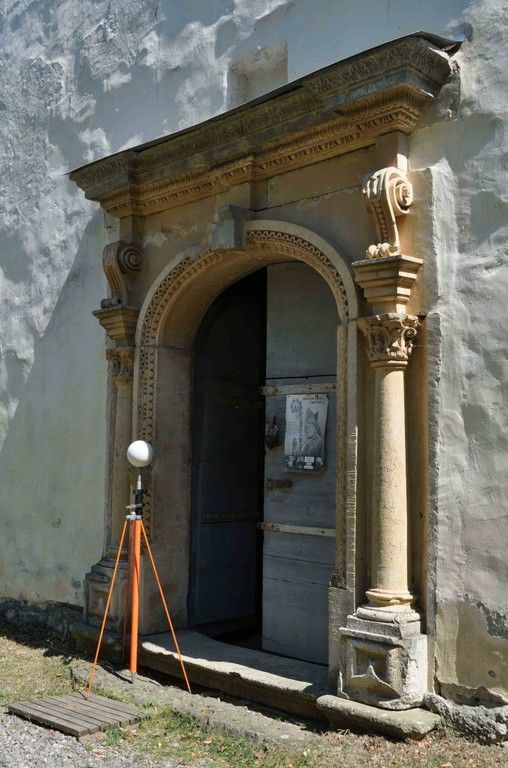 At the measuring of the archaeological finds and historical buildings both traditional and innovative methods (Laser scan, 3D-Digital photographing) were used. 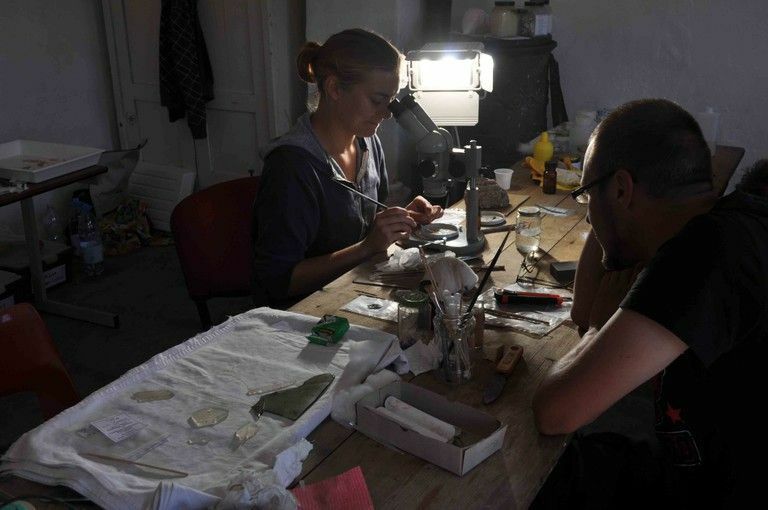 The culture house from Călugăreni housed the find processing laboratory where the finds have been cleaned and sorted. The most important ceramic forms were drawn and photographed. The restoration of the most important small finds was also carried out here. All the finds recorded as well. 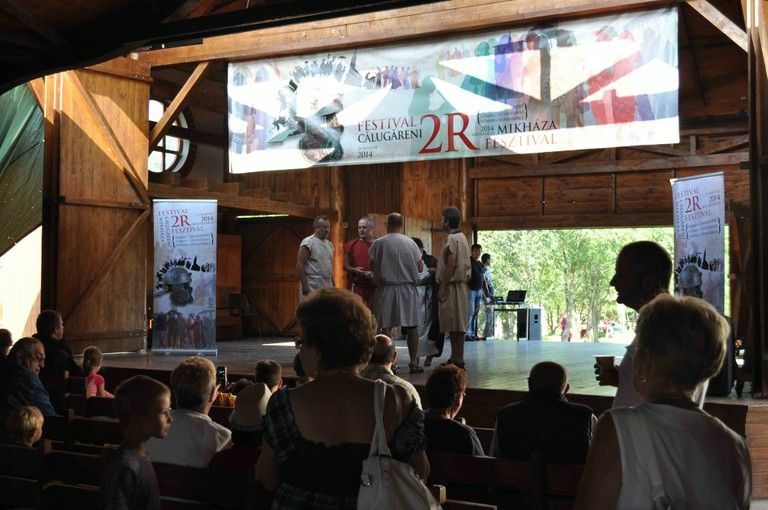 A Roman and a Renaissance Festival have been organized by the Mureş County Museum on the 23rd of August in Călugăreni, where we presented our work for the public. 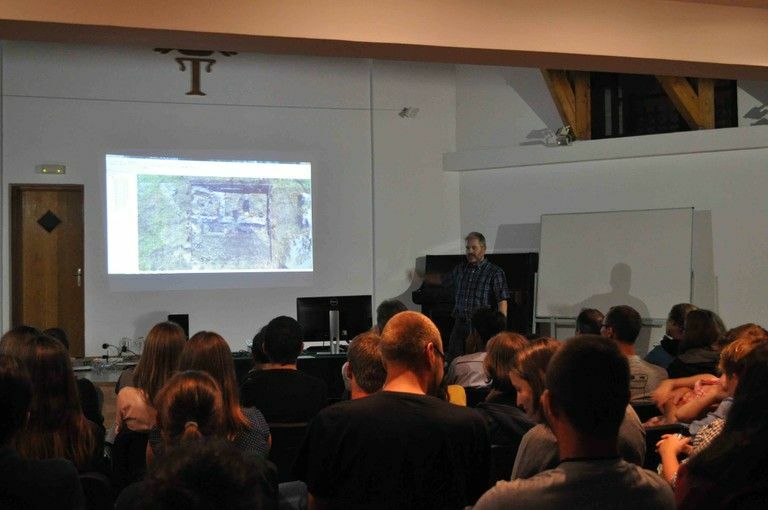 During the archaeological campaign from 2014 several presentations and weekend trips (Sighişoara, Târgu Mureş, Cluj-Napoca and the salt mine from Praid) were also organized. 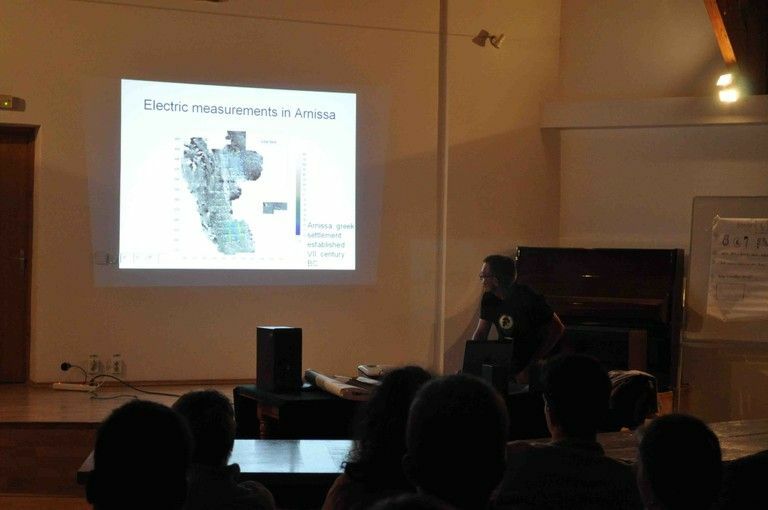 In 2015 the summer archaeological campaign on the eastern limes took place from the beginning of July till late September, and on some spots (e.g. Roman bath) even longer, until late October. 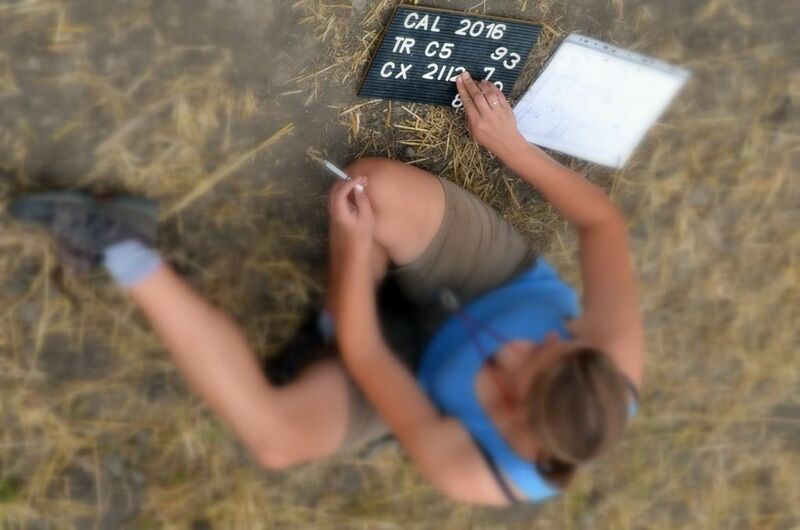 In the frame of this large-scaled intensive field work the annual international and interdisciplinary field school has been organized in Călugăreni for the third time so far, between the middle of July and middle of August. 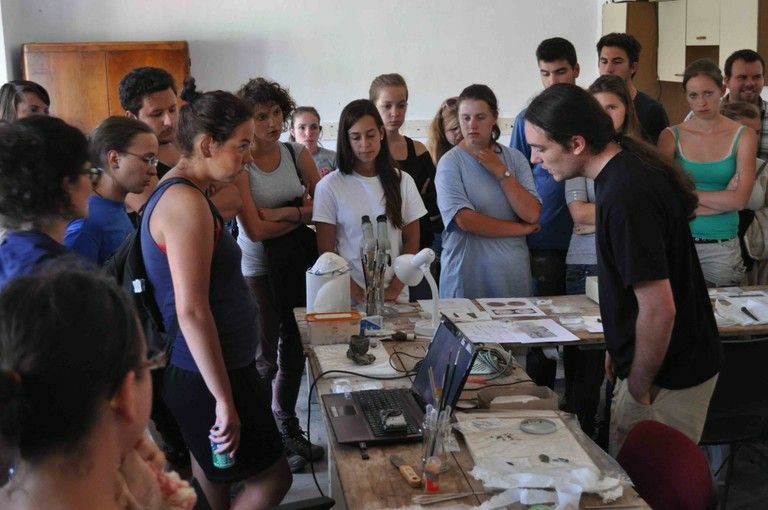 Just like in the previous years, the field school has been attended by many students and specialists from eight German, Romanian and Hungarian universities, institutes and the Mureș County Museum as the host institution for researches focusing on certain eastern limes sectors of Dacia. 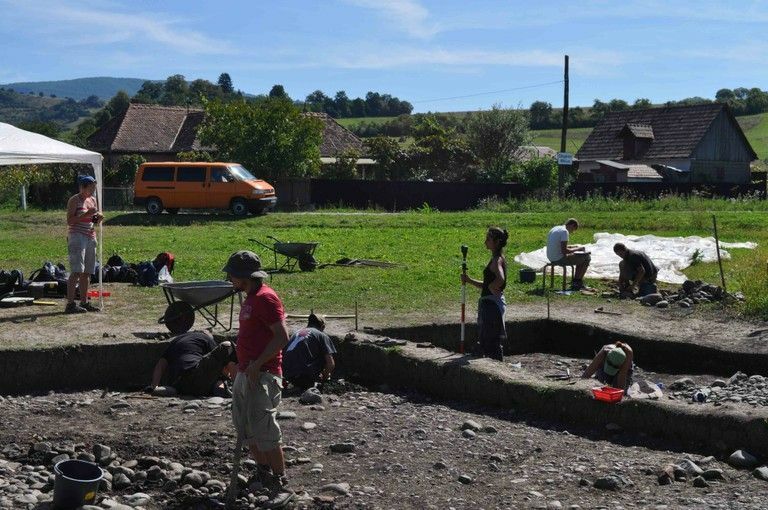 This year the main field of the research was the Roman fort and settlement from Călugăreni and Brâncovenești, but other elements of the limes sector from Mureş County were also investigated. Topographic surveys combined with intensive fieldwalking have been also undertaken in Călugăreni and the surrounding area. New elements of the limes defense system were identified and measured: e.g. a possible watchtower near Câmpul Cetății and further data for the digital terrain model of the zone were provided. 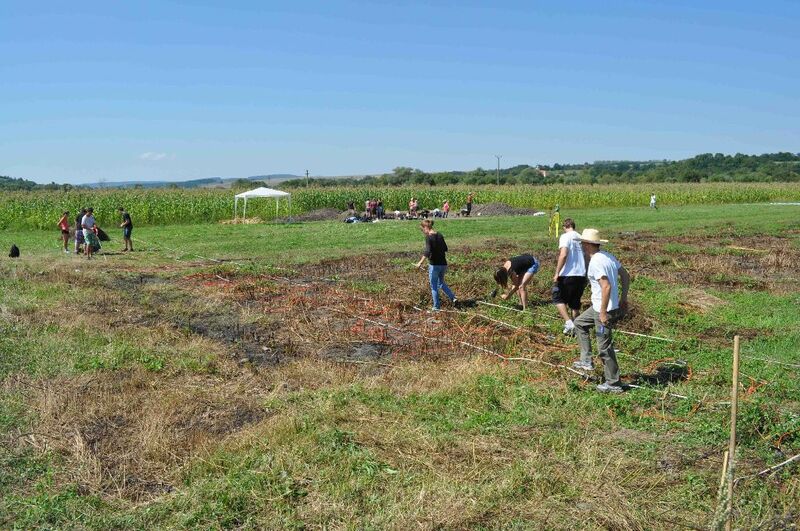 A large-scale geophysical survey has been undertaken on the Roman military site from Brâncovenești which contributed in a considerable way to the delimitation of vicus as well as to the topography of the ancient military fort and settlement. 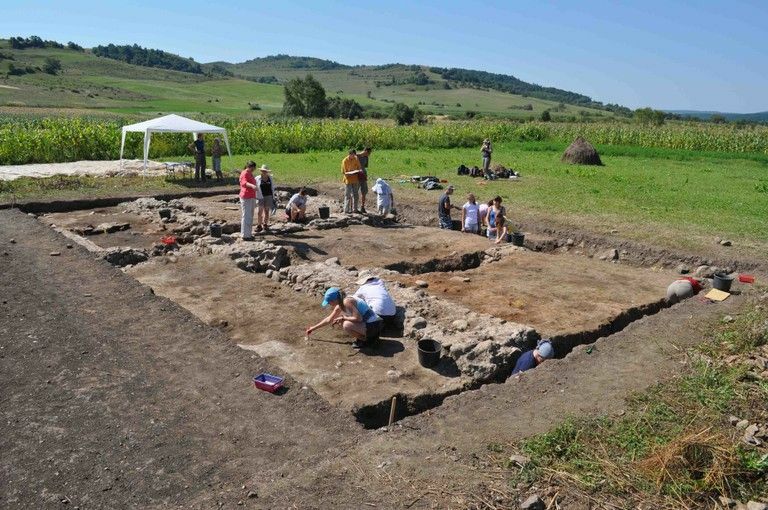 In Călugăreni magnetic and geo-electrical resistivity survey have been also made in order to identify further settlement parts, structures between the bath and the Roman fort. The archaeological excavations continued the investigations on three different areas started three years ago: the principia (Area A) in the military fort; the bath (Area B) and a portion of the road’s turnout (Area C) in the vicus. 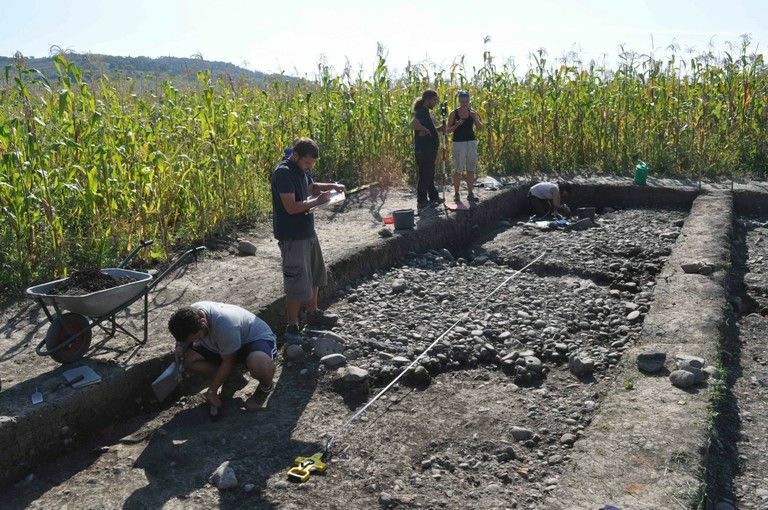 In the principia new trenches, in addition to the ones from the last year, were opened in order to determine the precise extinct of the basilica and to delimit different building phases. 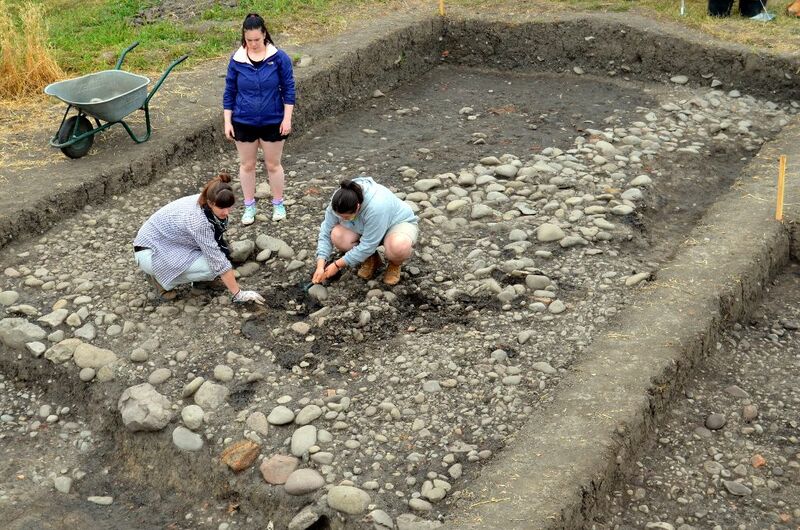 Many new postholes were unearthed within and outside the basilica, as an evidence of a former timber phase, partially documented in the former years. Beside these results, the complete succession of the basilica’s collapse (demolition) have been also identified. 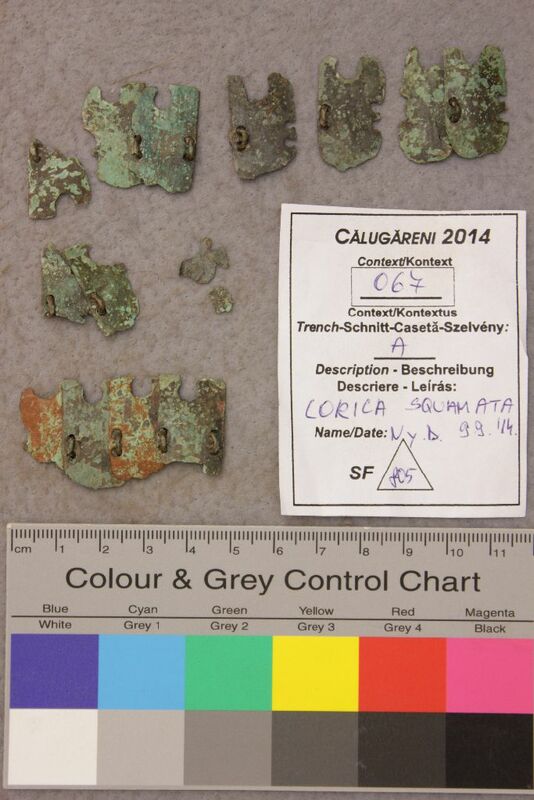 Several small finds have been recovered, like an iron handcuff, a very rare artifact in the Dacian provinces as well as several military equipment and weapon fittings of bronze and iron. In the bath area (Area B) the trench from last year was also extended. New rooms with different destinations were identified as well as elements, pillar fragments of the bath’s hypocaustum system together with the possible praefurnium. The painted wall-plasters suggest the friendly inner decoration of the construction. In Area C the same building complex was investigated as in the previous years. Situated in the central area between the fort, bath and civilian settlement, the visible archaeological elements of the former buildings appeared in the forms of cobble- and stone structures. The large quantity of bronze and iron working debris would suggest that the destination of the complex can be related to a possible workshop functioning in this area of the vicus. 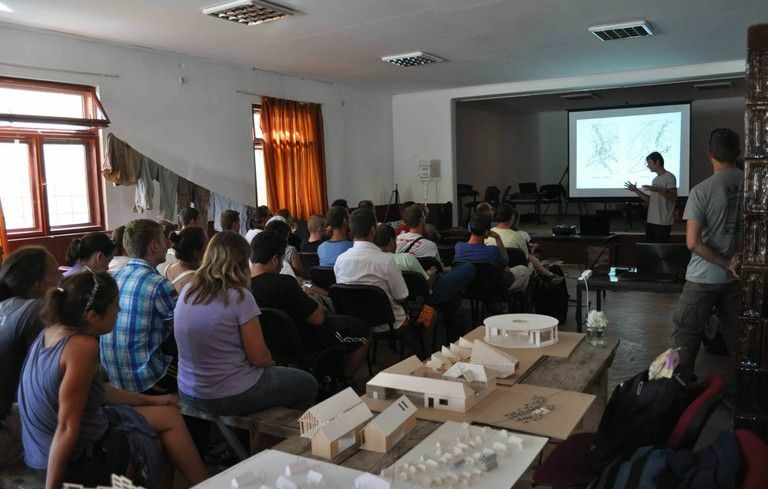 In the frame of the architect’s camp students from the Budapest University of Technology and Economics continued the documentation of the vernacular monument buildings and traditional timber structures from Călugăreni similar to the former years. Nevertheless, the most challenging and spectacular achievement was the construction of the two pavilions destined to the present the archaeological sites. Constructed after the project of one of the students, the pavilions became the symbol of team-work, utility and symbiosis between different research disciplines. The students were also employed in projecting and constructing info-points for main archaeological attractions from the village. In the house of culture from Călugăreni an intensive and well-equipped find processing and restoring laboratory was functioning. The finds unearthed from the excavations were brought here for further processing where they have been cleaned and sorted. Each small find was sorted after material and recorded, photographed and checked. 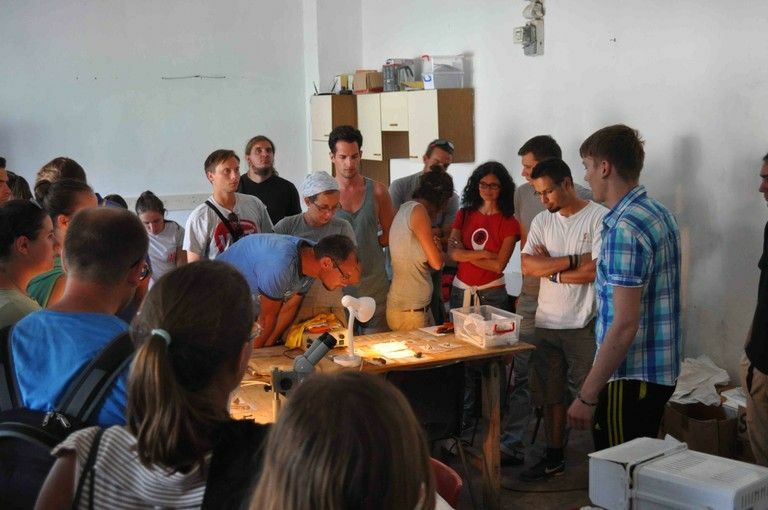 The fragile and corroded ones were restored on the spot by restorer students from the Fachhochschule Erfurt. The most important ceramic forms were drawn and photographed. 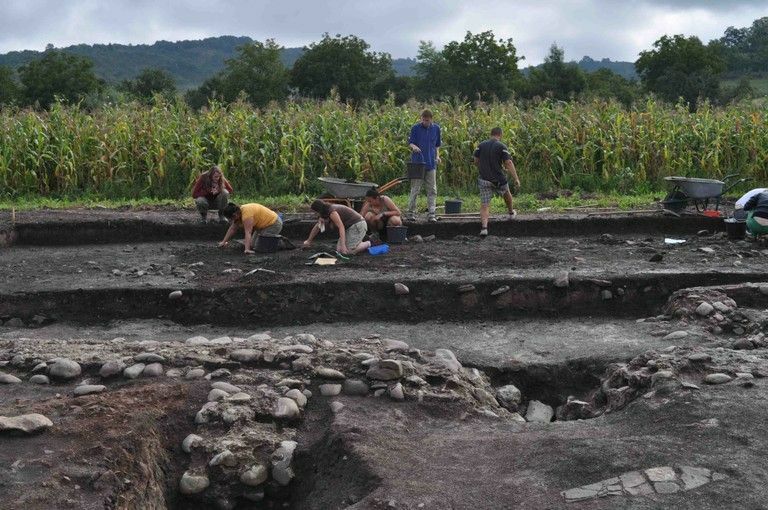 CAL 2016 stands for the summer of 2016 that we spent in Călugăreni excavating. It all started on the 26th of July. It was a nice, warm day. And then it went on and on, and it’s still isn’t finished (but soon it will be, we promise). We mainly focused on the principia (headquarters) of the Roman fort, especially on the northern part of the basilica, that was opened in the previous years as well, but we also made extensions into the inner courtyard. Another side of the project was focusing on the two southern corners of the building that were still hiding under the earth, but, thanks to our persistence, it’s no longer doing so. 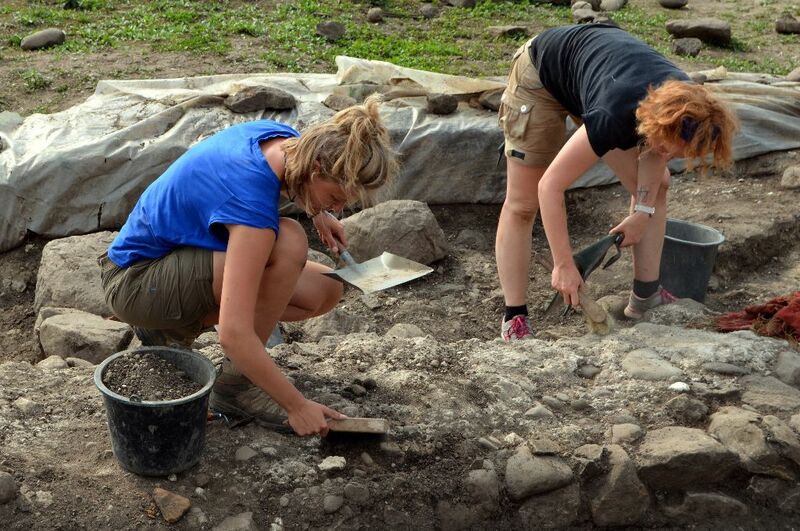 In the mean time we got some help from the students from Germany (Cologne and Berlin), and also some from the University of Cluj, Romania, so this way the excavation in the vicus (military settlement) that was started two years before, could be resumed. As in previous years, the most spectacular results came again from the restaurateurs’ laboratory, maintained by three students from Erfurt. They even got some action going on on the site (big pieces of wall plaster needed to be conserved), where they could prove again their professionalism. Of course the 4R Roman festival was the biggest event for us all this summer, but we also managed to have a short city-break in the beautiful town of Brașov. We hope are guests had as much fun as we did this summer in Călugăreni, we also do have nice results, so lets keep up the good work!